Have you tried Spirolite®? 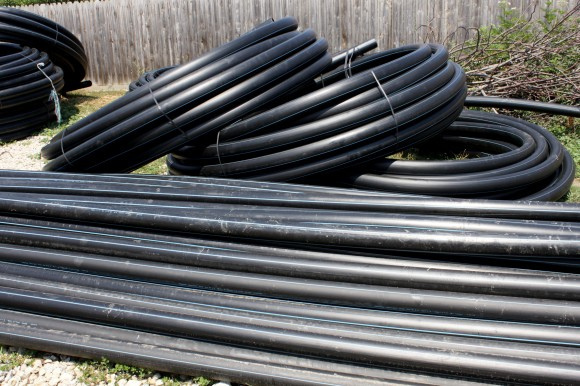 This pipe is made from high-density polyethylene material with engineering aimed at applications involving piping. With three decades of successful manufacturing, Spirolite provides a perfect fusion of strength, durability, and reliability over the long term. Poorly made polyethylene may end up cracking when stress is applied or if it’s exposed to certain chemicals. Should this happen, it results in something called “environmental stress cracking”. To avoid such a scenario, Spirolite is manufactured using materials designed to resist these stress cracks. In fact, the materials exceed ASTM D-3350 requirements to ensure the highest-rated pipe material. Spirolite is also resistant to the effects of Mother Nature. In fact, it can be stored for years while being exposed to the elements without having to worry that factors such as ultraviolet rays from the sun will affect the durability. Spirolite is primarily designed for use with buried applications, and yet its strong corrosion and chemical resistance means it is great for use in industrial waste disposal or sanitary sewer applications. There is no need to worry about bacteriological growth or rust that may affect the pipe, ensuring the pipe can remain in place for many years to come without needing replacement.